Our range of bookable study rooms and booths are ideal for groups who need a space to discuss and collaborate, or individual postgraduates who need to focus on their work. In each room, you can connect your laptops and share your screens using AirMedia. Remember to check-in to the room when you arrive. These rooms are for student bookings only. If you can’t find the items you need, we can help. You can request items on loan or from our stores as well as from other libraries outside Leeds through Document Supply. We help you to submit reading lists and make items available for students, and support teaching through integrated academic skills sessions and resources. Boost your students' academic skills. Skills@Library can embed discipline-specific and curriculum-based academic skills activities within your teaching. How to submit your students' reading lists for the year, request digitisation for online course readings, and move popular items to our High Demand Collection. Discover how Special Collections support teaching within the University using its diverse collections of rare and historic books and manuscripts. Information about the different Library membership options and entitlements. 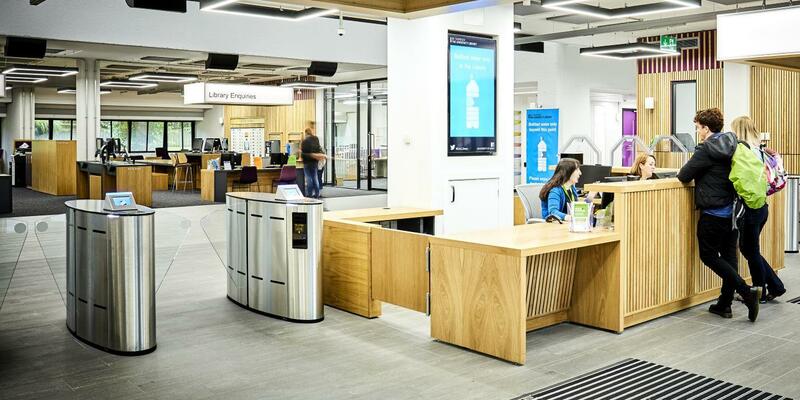 Staff and students have full access to Leeds University Library and just need their University ID card.